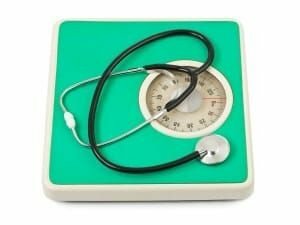 A doctors best weight loss program will include medical supervision, be backed by scientific facts rather than a “calorie counting” diet fad and will help you not only lose weight but also keep it off. Dr. Urshan has been running his physicians weight loss program for over a decade. He has a passion to help people lose weight; however, the medical weight loss program is about more than just losing weight. Those who have taken part in the doctors best weight loss program have also experienced other important health benefits such as regularization of blood pressure, elimination of sleep apnea problems and increased energy levels**. One reason why Dr. Urshan’s weight loss center is so effective is that it identifies the root causes of weight gain, including genetic and hormonal factors, diet and low metabolism. The doctors best weight loss program addresses these problems to ensure that a person will not only lose weight but also be able to keep it off long-term. If you want to lose weight and are tired of yo-yo diets, magic fruit and/or forgoing all the foods you like and enjoy, get in touch with Dr. Urshan’s weight loss center. The doctors best weight loss program will help you lose weight and keep it off while maintaining a balanced diet and lifestyle. Our weight loss center is happy to answer your questions and help you gain (or regain) your figure, self-esteem, and good health**. Our doctors best weight loss program is ideal for those in South Tampa, Carrollwood, Temple Terrace & Surrounding Areas. Contact us today and schedule an appointment with Dr. Urshan.